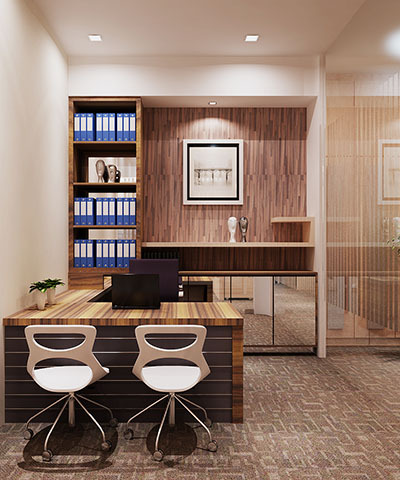 Sense Interior Design & Contract ~ Renovation Home Office, Interior Design Johor Bahru (JB), Malaysia. At Sense Interior Design & Contract we specialize in ONE thing – that is our client! It's our ultimate goal to design spaces that reflect our client's likes and lifestyle. We pride ourselves on doing everything within our client's budget. Our company provide services such as project management, space planning, interior design for residential and commercial, renovation works, office system and design, and design consultant. We come to your office or home, talk with you about your project, and then create a design plan that matches our collaborative design ideas with the perfect product, all created specifically for you and your lifestyle. Everything about us is custom, from initial design ideas all the way through installation, we handle it all making your life easier and saving you valuable time. Besides that, we always offer our clients an initial complimentary design consultation. Our philosophy has always been "Together We Can Pull It Together". We will proudly and efficiently handle every detail of your project from our initial design consultation to installation! Whether it's one window of a whole home or office, we stand ready to help you create the space of your dreams. That's why we come to you at your convenience. What could be easier than that? We listen to you to create a design plan that suits your office or home, your needs, your design budget, and your lifestyle. We come to you with experience, service, a broad selection of quality products, competitive prices and will work to meet your budget. Our mission and goal is to “Make the world more beautiful, one room at a time!” We know that a delightful, enjoyable and affordable design experience can be YOURS! So, what are you waiting for? Contact us today!